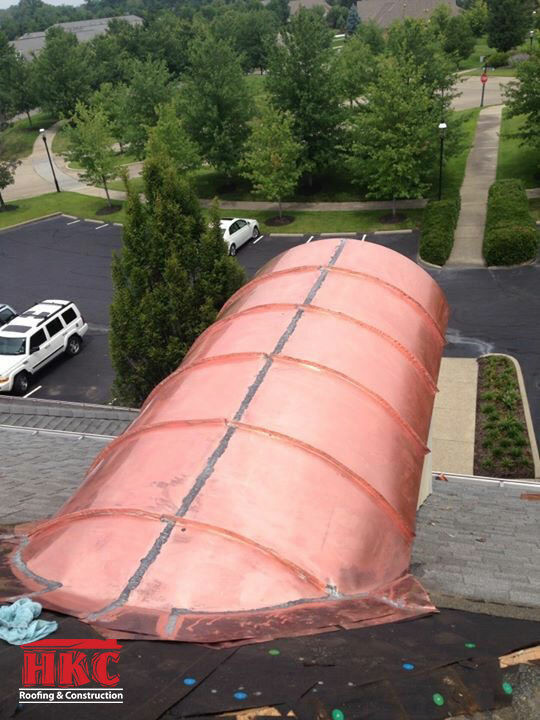 Hand-formed, Double-lock standing seam roofing is one example of custom copper roofing, common in Cincinnati and Northern Kentucky. It has been around for centuries and is one of the the oldest types of roofs used in America. Often referred to as a “Tin” roof, these hand formed metal roofs were made using just a few hand tools. Before advanced tooling and manufacturing were available, metal roofs were fabricated on-site from raw materials. This resulted in skilled craftsmen getting the opportunity to display their craftsmanship on details all over the roof. 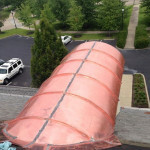 At HKC Roofing, we still practice and train our employees on these types of custom copper roofing methods. 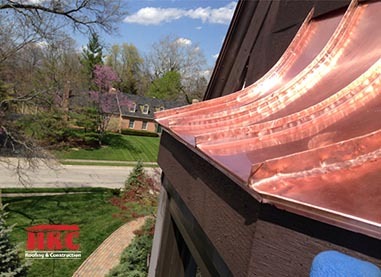 A hand-formed standing seam roof made of copper can be expected to last upward of 75 years, all the while displaying a beautiful patina. These roofs can easily be added to porches, awnings, and bay windows while adding an endless amount of charm to almost any structure. 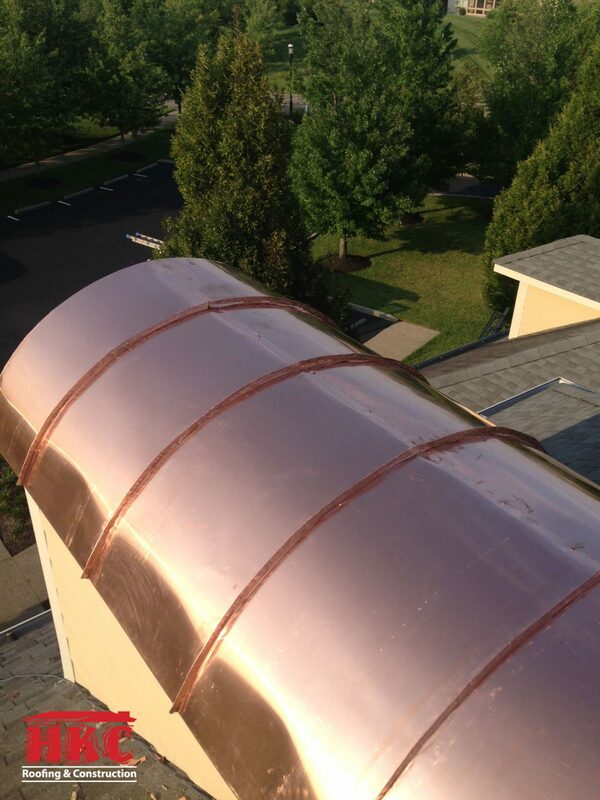 Flat-lock copper is another traditional roofing method that has been tried and tested for centuries. 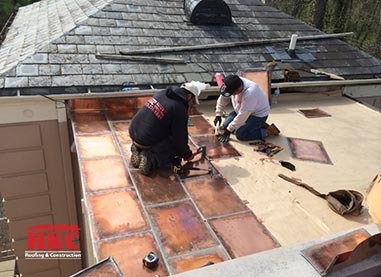 Flat-lock roofs consist of small rectangular pieces of copper cut by hand. These pieces of copper then have half-inch bends folded up on two sides of the panel and down on the other two sides of the panel. 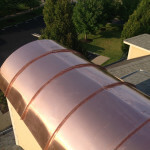 This allows the rectangular pieces of copper to lock into each other. Once installed on the roof, all of the seams are soldered together to create a monolithic roof. These roofs will not leak even under water. 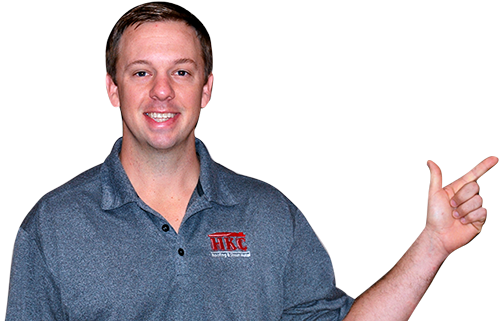 They will perform with little or no maintenance for approximately 75 years and can be found throughout Cincinnati and Northern Kentucky in the older neighborhoods. Flat-lock roofs work great on flat porches, awnings, walkout porches, or any other flat roof configuration. 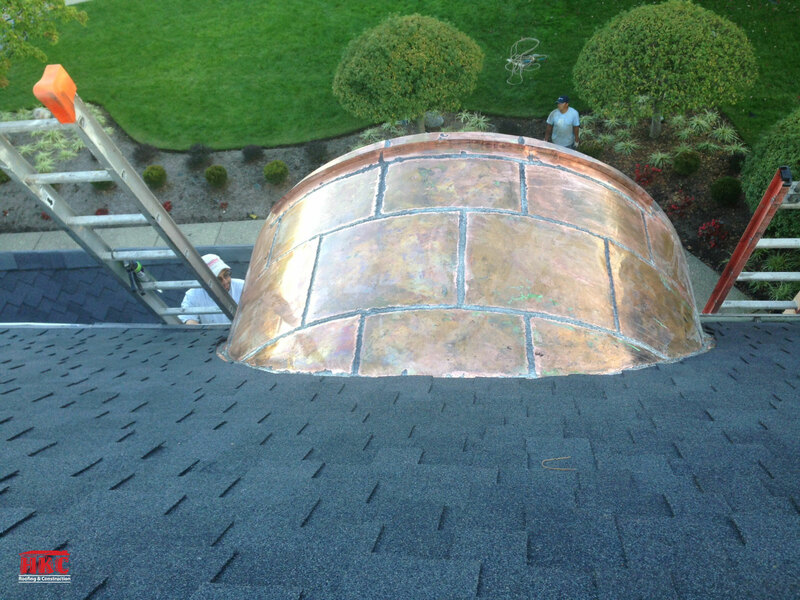 Copper dormers provide a great opportunity to accent your home or building with the beauty of copper. Both traditional methods outlined above can be used to cover dormers. 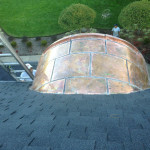 Below are just a few jobs we’ve completed using hand-made copper.